Fuse noted pieces. 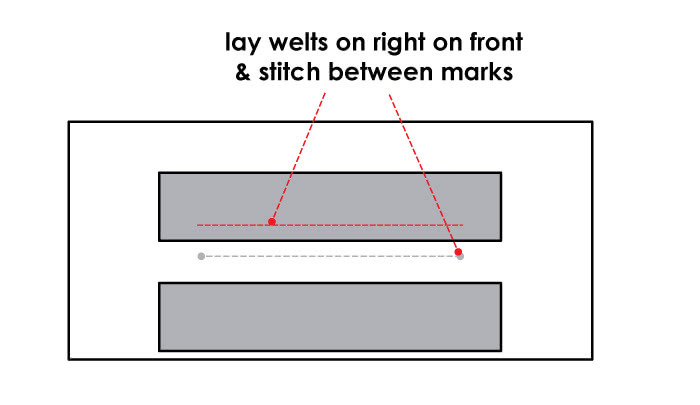 Lay welts on right side of a piece & stitch between notches. 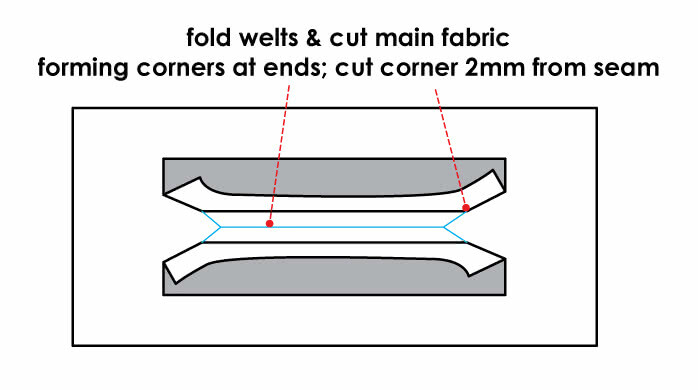 Fold welts & cut main fabric forming corners at ends. 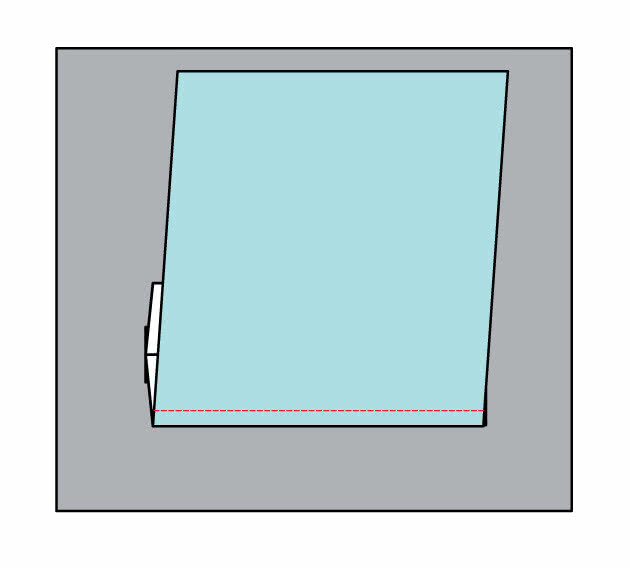 Cut corners 2mm from seam. 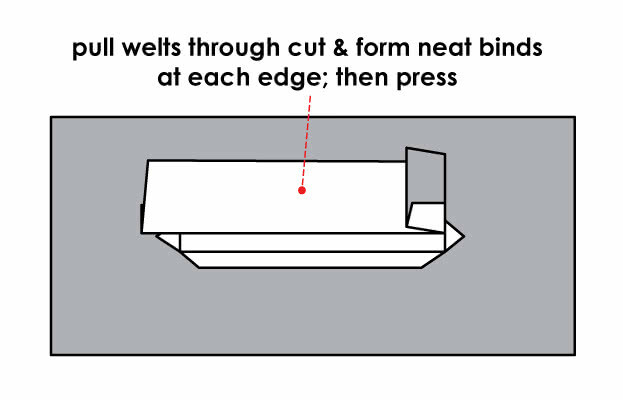 Pull welts through cut & form neat binds at each end (depending on the design you can fold welts unevenly – e.g. 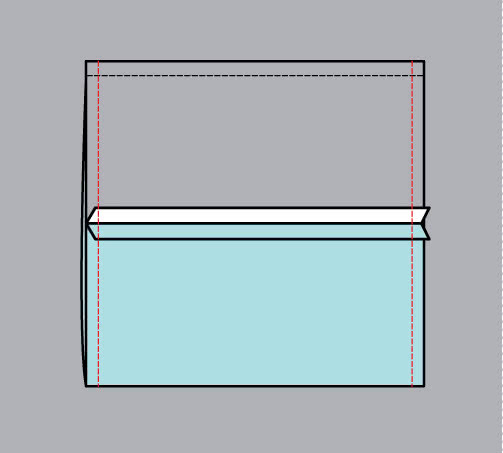 bottom welt can cover the whole cut up to top edge). Then press to secure welts. Fold main fabric over & stitch corners/seams to welts. 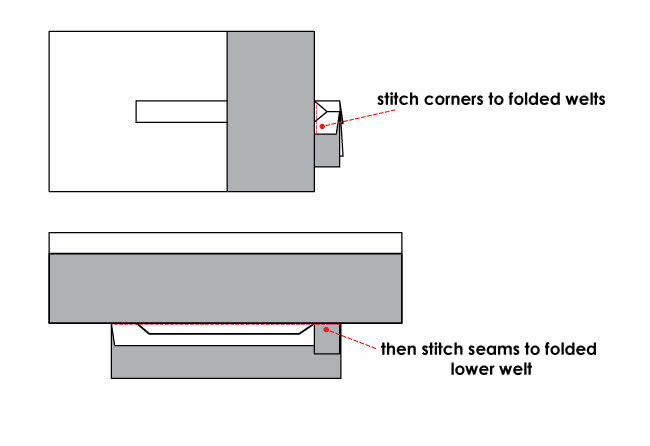 Then stitch seam to folded lower welt. Attach facing to pocket bag. 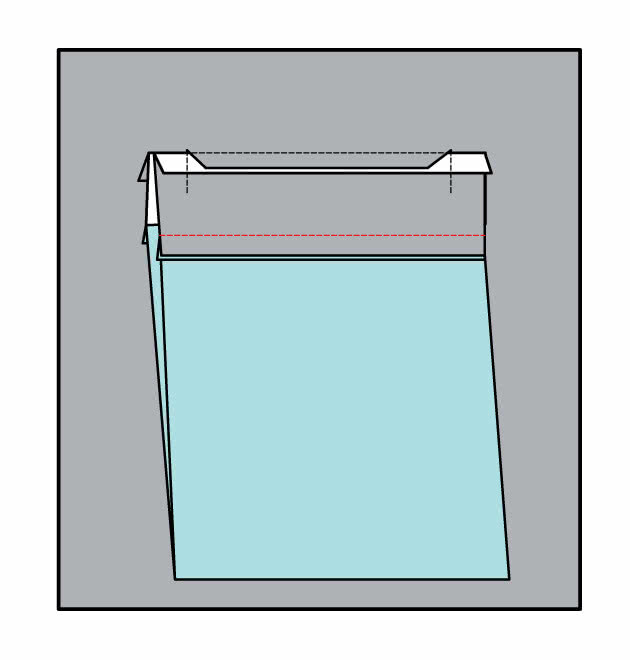 Attach pocket bag to lower welt from inside. Then attach opposite edge of pocket bag to upper welt from inside. Finally sew side edges of pocket bag. You may press to flatten pocket bags. 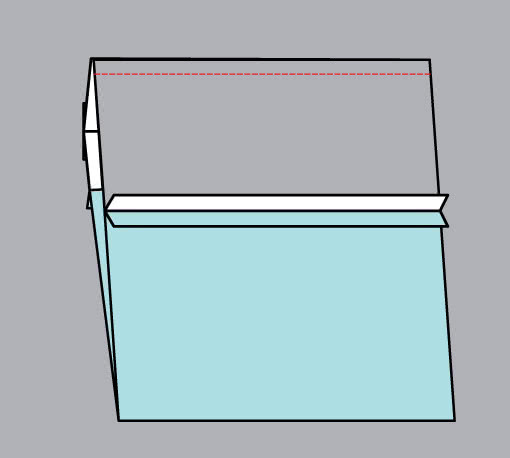 Pull lower welt through cut & form neat bind at lower edge to cover the whole cut up to top edge. 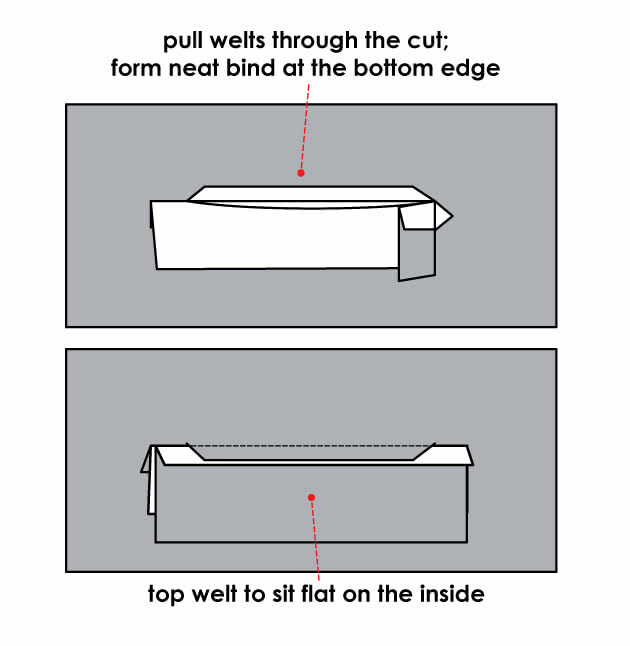 Pull the lower welt through the cut & lay flat. Then press to secure welts. 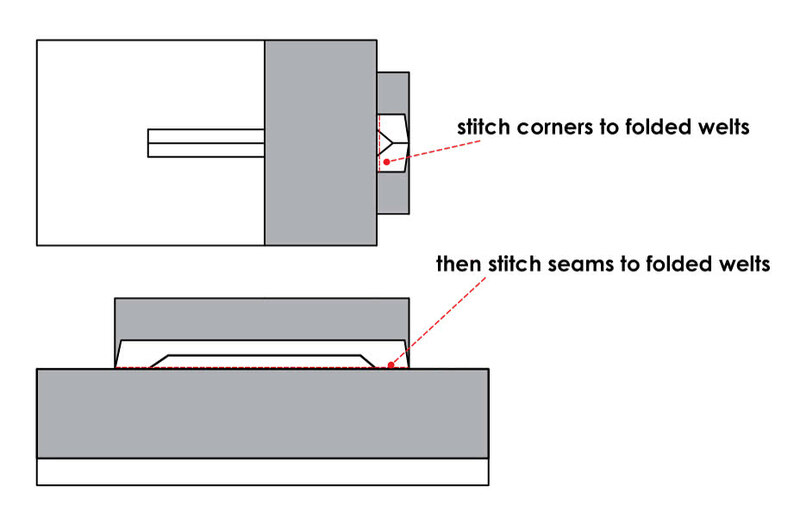 Then stitch seams to folded welts. 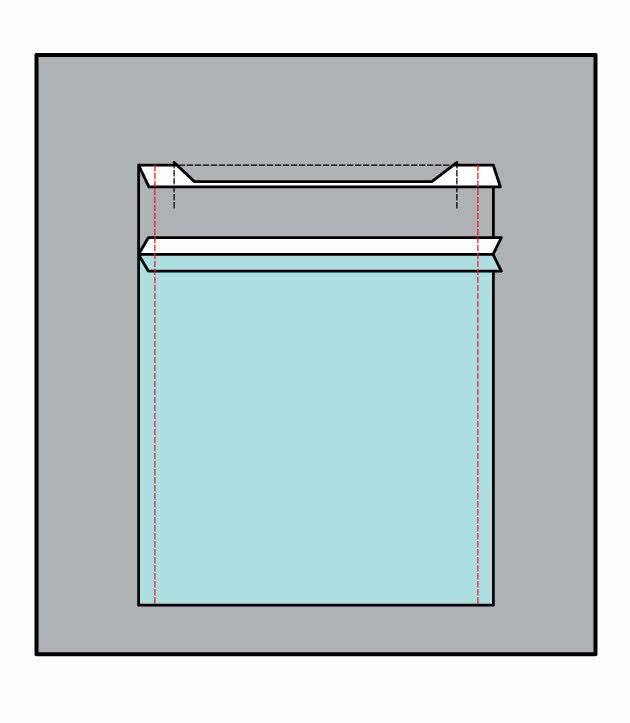 To secure the pocket shape you can stitch in the ditch around the pocket welts from the right side.